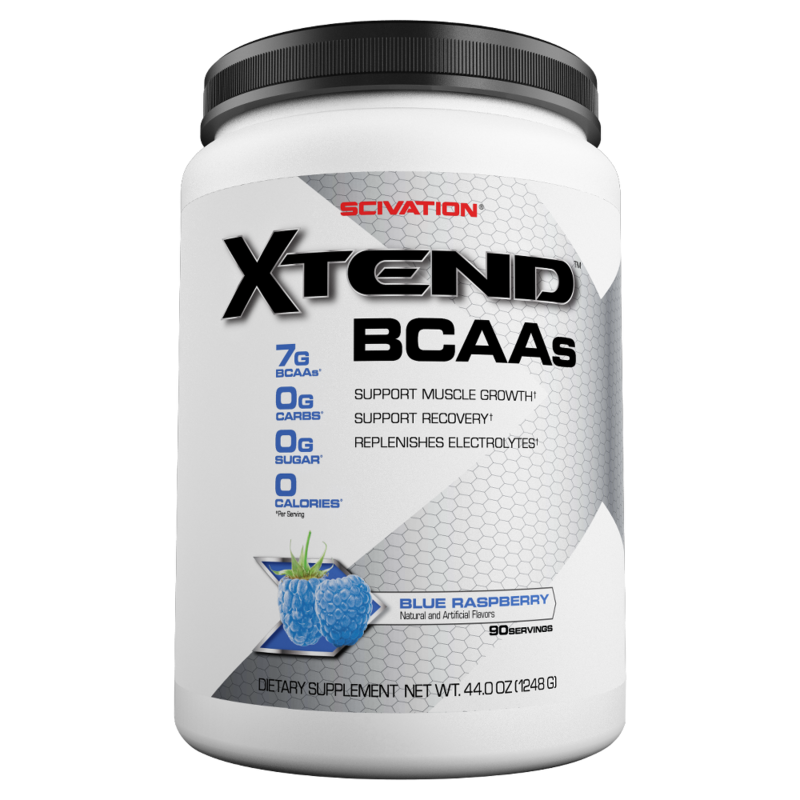 Amino X vs XTEND…BCAA industry giants! 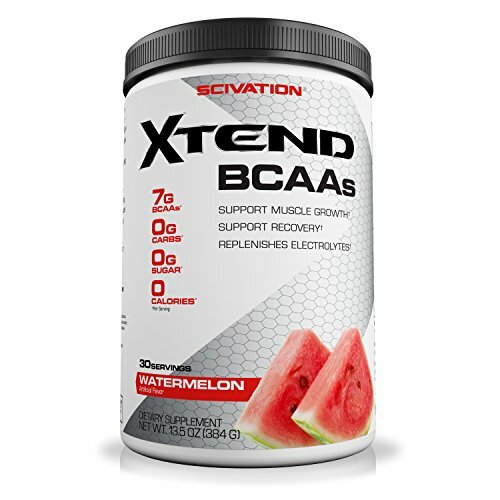 Both Amino X and Xtend are excellent branch-chain amino acid supplements…but why bother taking BCAA’s? It’s well established that branched-chain amino acids (BCAA’s) help you by stimulating protein synthesis more so than normal protein on its own. This is because BCAA’s are the building blocks that make up protein and are exactly what your body needs when it is in a state of decreased nitrogen balance during intense exercise or dieting. Also, BCAA’s increase the cell’s capacity for protein synthesis, reduces the rate of protein breakdown while improving workout intensity! BCAA’s have really had a comeback recently and for good reason! Now lets see how Amino X and Xtend compare as top quality BCAA’s! Amino X is a stimulant free BCAA with the athlete in mind. 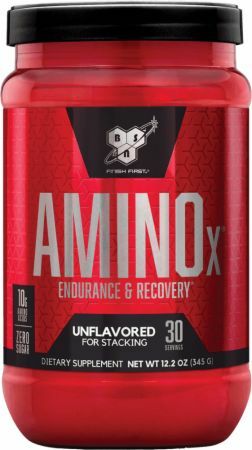 Amino X is designed to support endurance during workouts while aiding in muscle recovery post training. 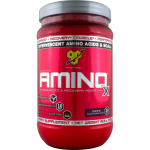 Amino X contains 10 gram blend of BCAA in a 2:1:1 ratio including L-Alanine, Taurine and L-Citrulline. Amino X readily mixes into juice or water within a few shakes. This makes for an exceptionally smooth drinking experience for a BCAA supplement. Amino X comes in a wide range of flavors so that you can switch it up every time. The bottle calls for 6-8oz of water, however if that is too sweet for you it can be extended up to 20oz of water based on your own preference. When it comes to mixability and taste Amino X truly brings you an unparalleled drinking experience. Amino X comes in around at a great price per scoop as it has 10g of BCAA in each and every serving meaning you use less and get more! This is an incredibly high amount of amino acids per scoop when compared to other products! Very few products on the market are able to squeeze as many grams of quality amino acids into a product like Amino X making this product a top seller! 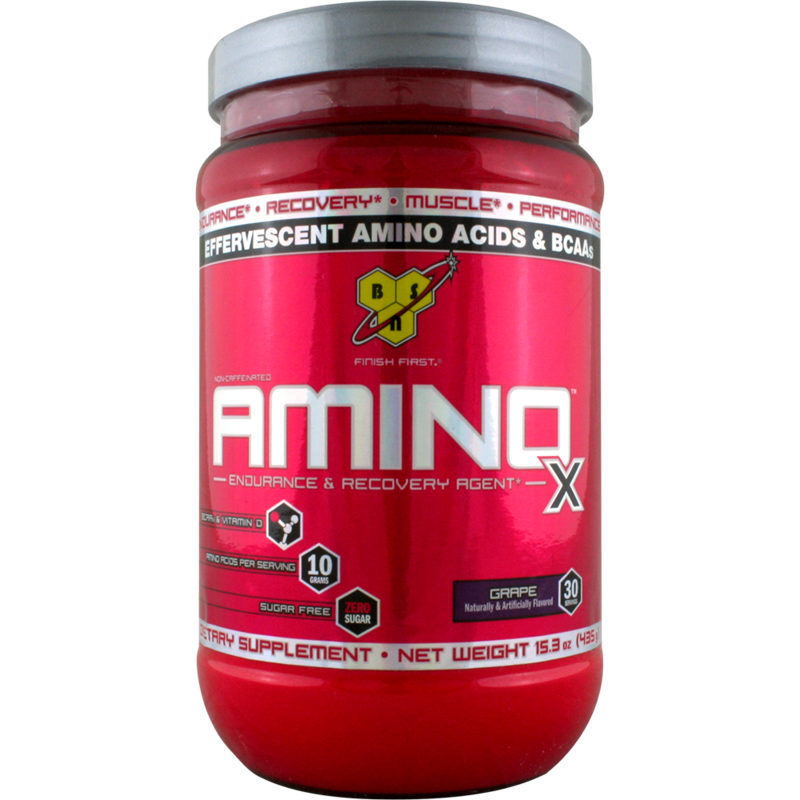 Overall the value of Amino X is very desirable and you will not be losing sleep over this one! This is the beauty of Amino X, since it is stimulant free and purely BCAA’s there are no negative side effects. Amino X is intended as an intra-workout supplement…however you can take Amino X at any time of the day when you feel your body needs that positive nitrogen balance without any jitters! It is absolutely critical that the supplements you put in your body have a positive effect on your overall performance and well being. 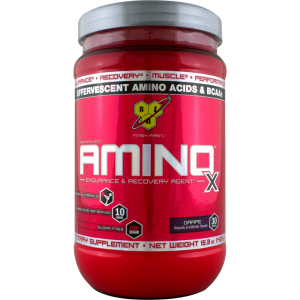 Amino X being a non-stimulant product makes it a product that is well suited for the elite as well as the recreational athlete! XTEND is the most-advanced and best-selling BCAA drink to date. XTEND has 7g of BCAA in a 2:1:1 ratio including glutamine and citrulline malate. What makes XTEND so interesting is that it includes a proprietary blend of hydration products including electrolytes! This product is perfect for athletes, fighters and anyone grinding through a workout session! XTEND is also stimulant free and there are no negative side effects. XTEND is also intended as an intra-workout supplement…however you can take XTEND at any time of the day also without any jitters! Because XTEND is stimulant free it is a great product for recreational and performance athletes. What makes XTEND special is its electrolyte blend. Electrolytes are critical for proper muscle signaling so you can achieve stronger and more intense workouts. 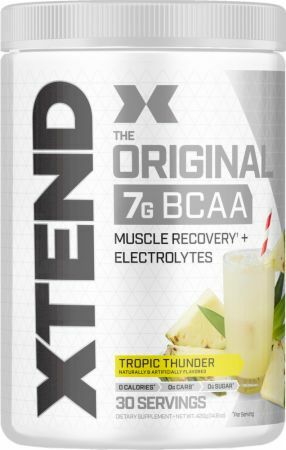 Electrolytes can be depleted during a grueling workout or athletic event and since you will be drinking XTEND intra-workout your body will have all the amino acids and electrolytes it needs! XTEND comes in a wide range of flavors. All the flavors are pleasant to taste and make drinking XTEND a real joy. XTEND also mixes like a champ with no residue, clumping or frothing. What you get is a highly mixable great tasting BCAA supplement so that you can get to work! XTEND comes in a zero carbohydrate form so that you can focus on getting in pure amino acids! It also is made in a NSF GMP Sport certified facility and is banned substance free! 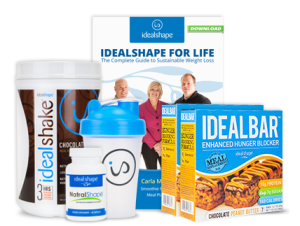 You can feel confident that you are getting everything you need and nothing that you do not! It’s tagline says it all, XTEND is one of the most well-known bodybuilding amino acid supplements on the market. XTEND is designed for intra-workout consumption and has been proven effective in two university studies to building muscle, burn fat and aid recovery during workouts. 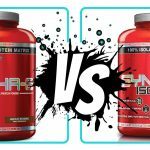 Overall both of these BCAA supplements provide incredible value and potency in an amino acid supplement. 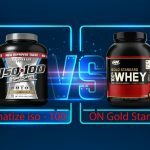 Both products have a well-known track record, huge numbers of sales and above all both have a proven track record for performance athletes. BCAA’s are a critical component of any supplementation regime and it is recommended by both brands that BCAA’s be consumed intra-workout to provide that immediate amino acid availability when your muscles are in a state of breakdown. BCAA’s are the building blocks of protein and are really what your body needs to build muscle and lose fat. When the body is unable to find BCAA’s in the bloodstream it breaks down its own muscle tissue for BCAA’s. BCAA’s are critical when you are trying to build muscle mass…muscle preservation is your #1 priority and BCAA’s provide the solution. When it comes to choosing between the two products it really comes down to preference. 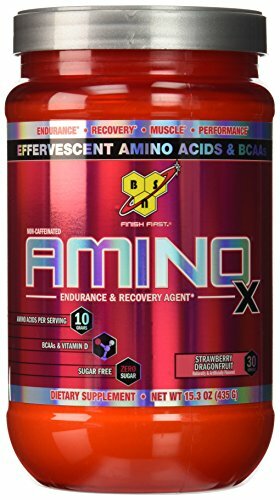 XTEND offers an electrolyte balance formula which would aid your longer endurance workouts…if you do not need electrolytes during your specific workouts than Amino X provides a more pure BCAA experience with a slightly higher amount of amino acids contained within every scoop (around 3g more). Rest easy knowing that either of these products are an excellent choice!